As a prelude to the June 8th release of their latest album, White Crosses, Against Me! give us this four-track EP. 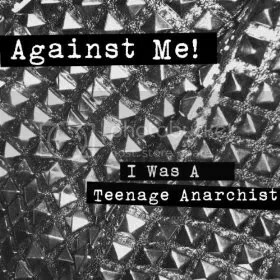 Two of the songs, “I Was A Teenage Anarchist” and “Rapid Decompression” are from the album and the other two, “One By One” and “Bitter Divisions”, are B-Sides. I love the energy of this band and the grit in Tom Gabel’s voice. They play (punk) rock that could fill up an arena, with everyone in attendance yelling the choruses out together with their fists in the air. I dig these guys a lot and am definitely looking forward to the new album. 2010 is shaping up to be a great year in music! This entry was posted on May 3, 2010 at 12:00 pm and filed under TheSlacker. You can follow any responses to this entry through the RSS feed.